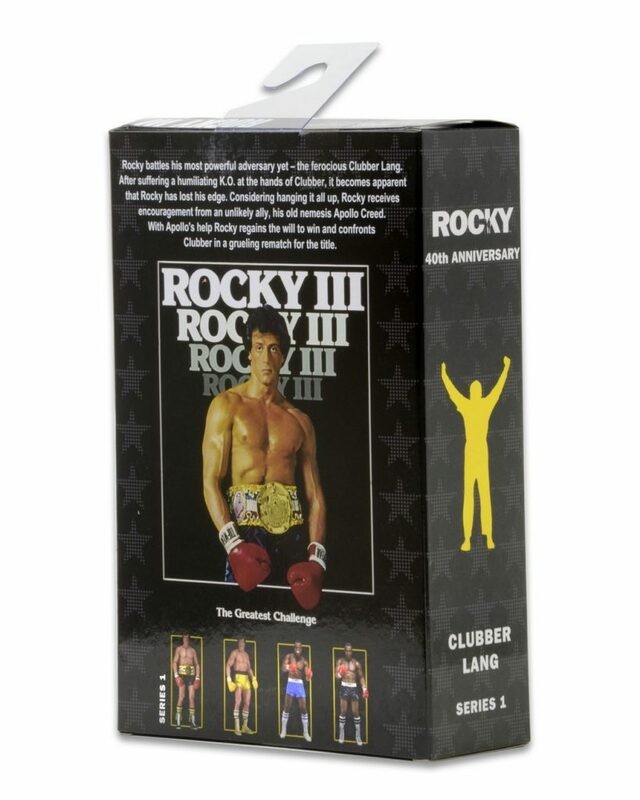 Series 1 focuses on Rocky III, in which Rocky Balboa fights and is beaten bloody by Clubber Lang, losing his world championship. 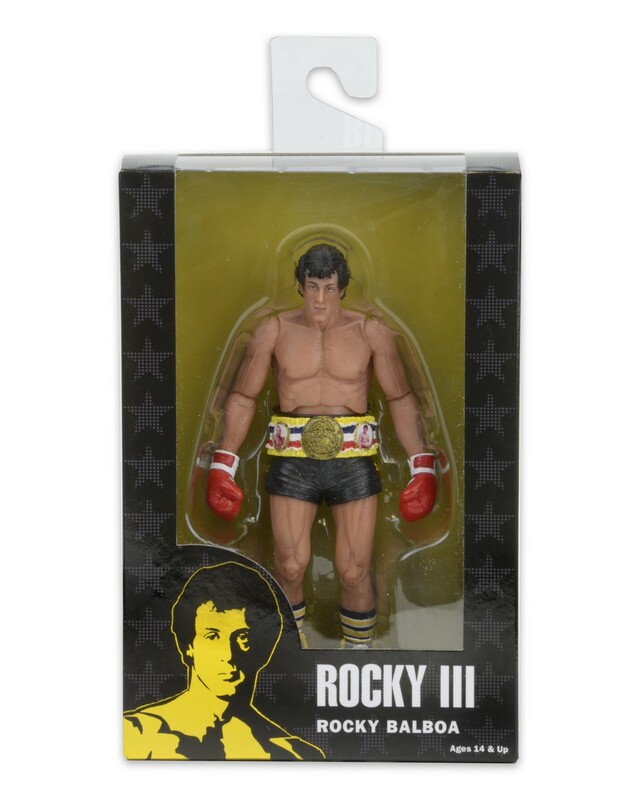 It debuts a brand-new Rocky figure in black trunks based on posters and promo art for the movie, which comes with an incredibly detailed championship belt accessory. 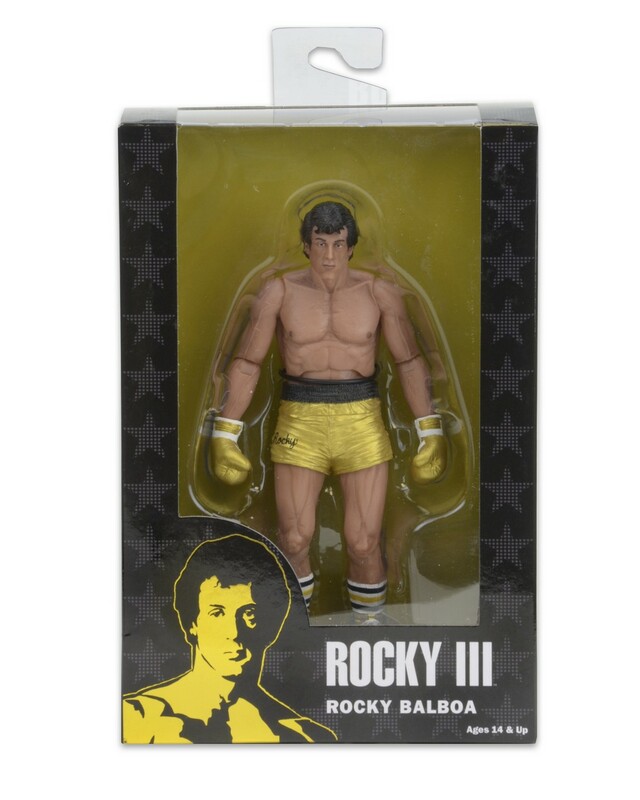 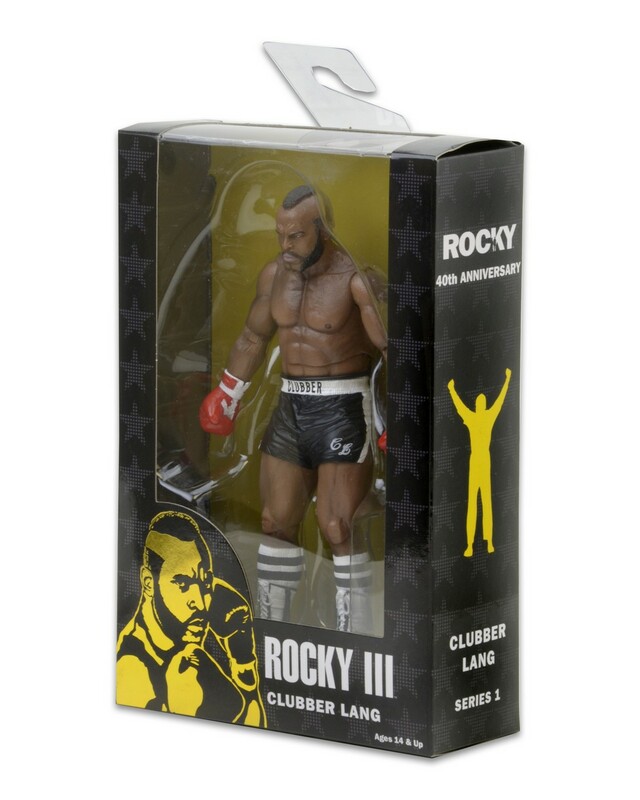 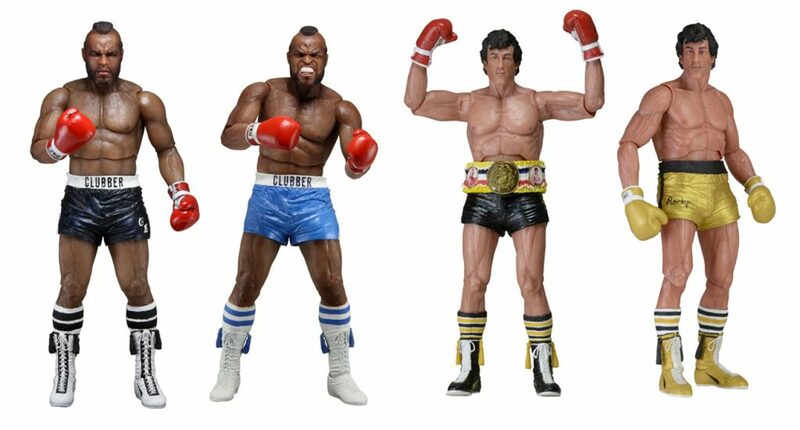 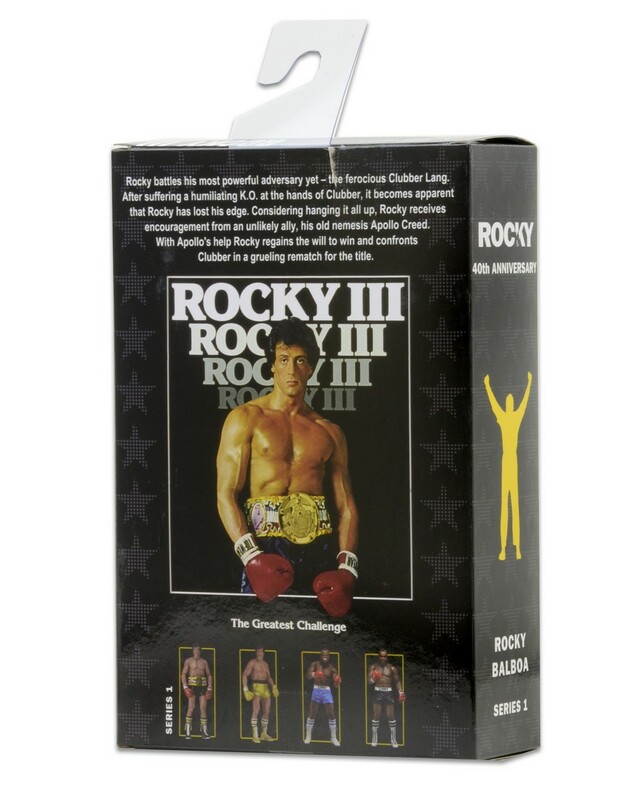 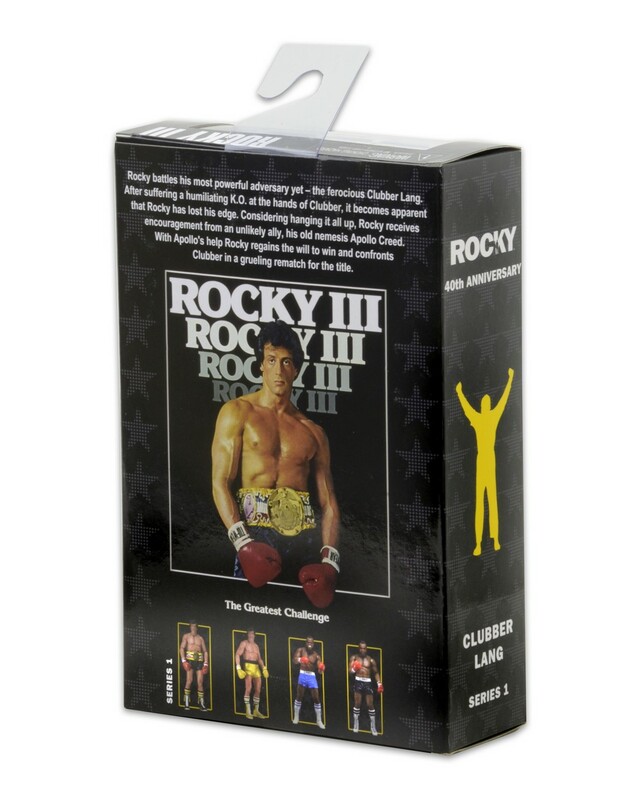 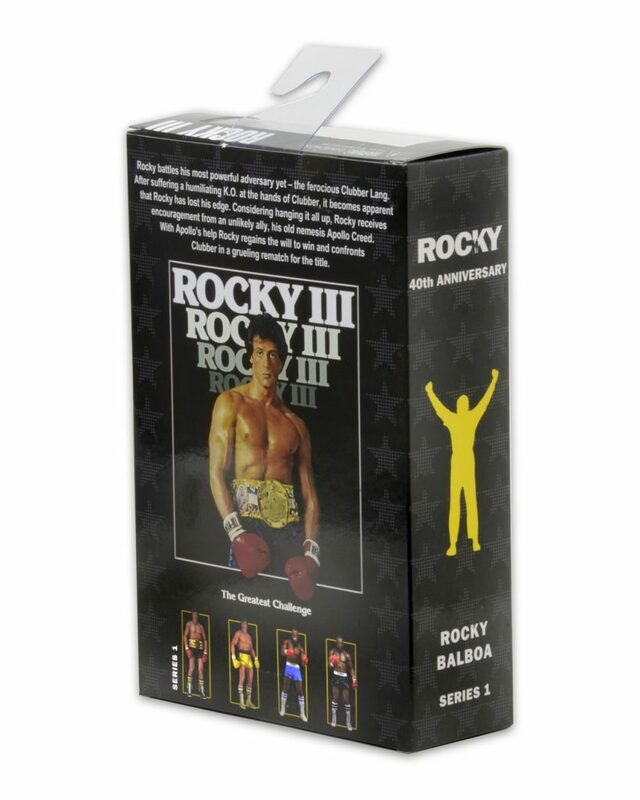 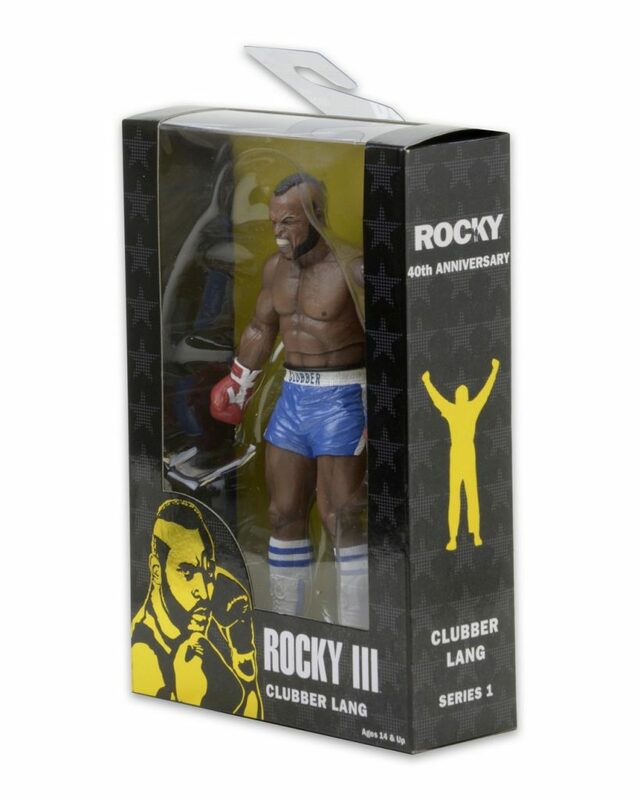 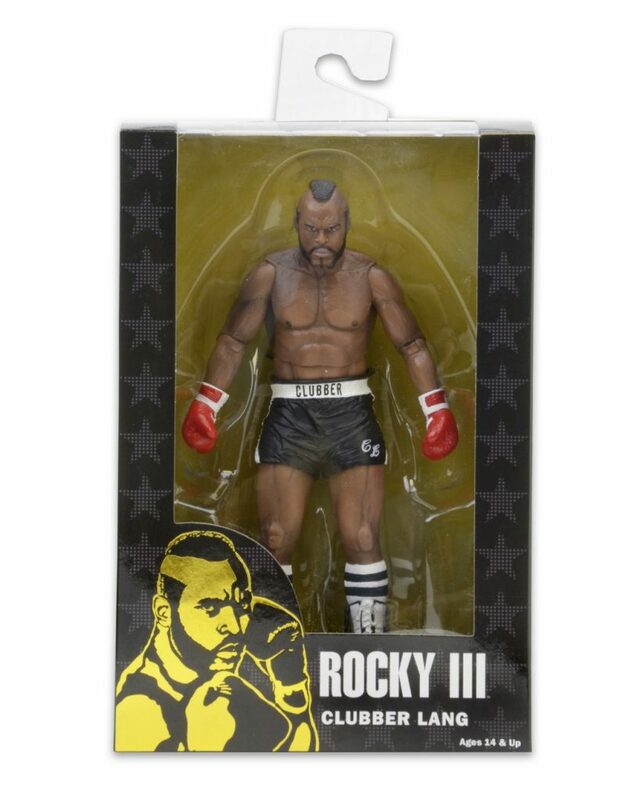 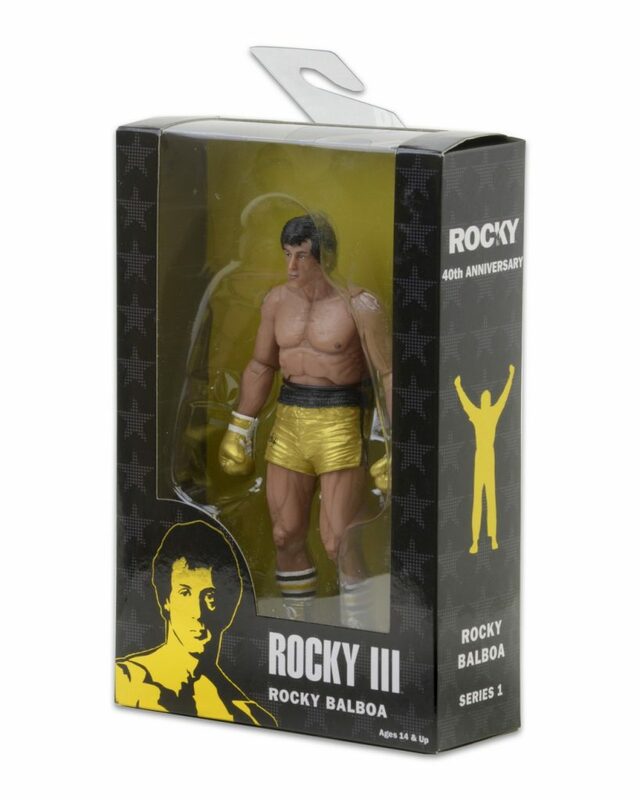 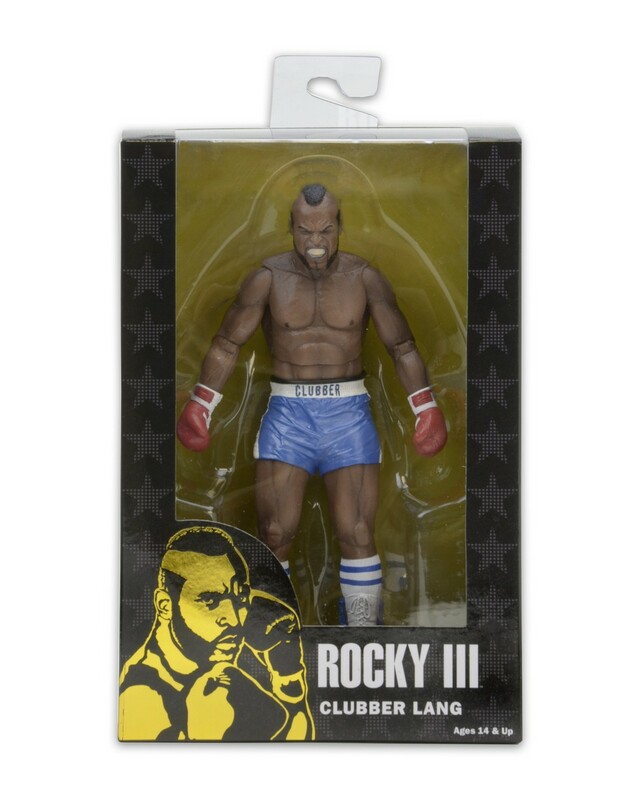 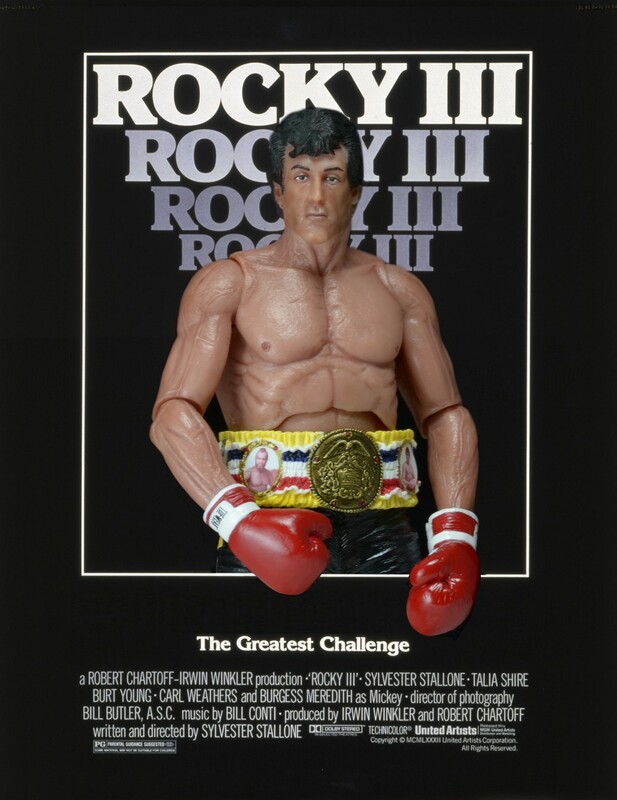 The assortment also includes three re-issued figures: two versions of Clubber Lang in both black and blue trunks with unique head sculpts, and a gold trunks version of Rocky. Realistic sculpts feature the likenesses of actors Sylvester Stallone and Mr. T. These 7″” scale figures are fully articulated and ready to take their one-in-a-million shot at the dream. 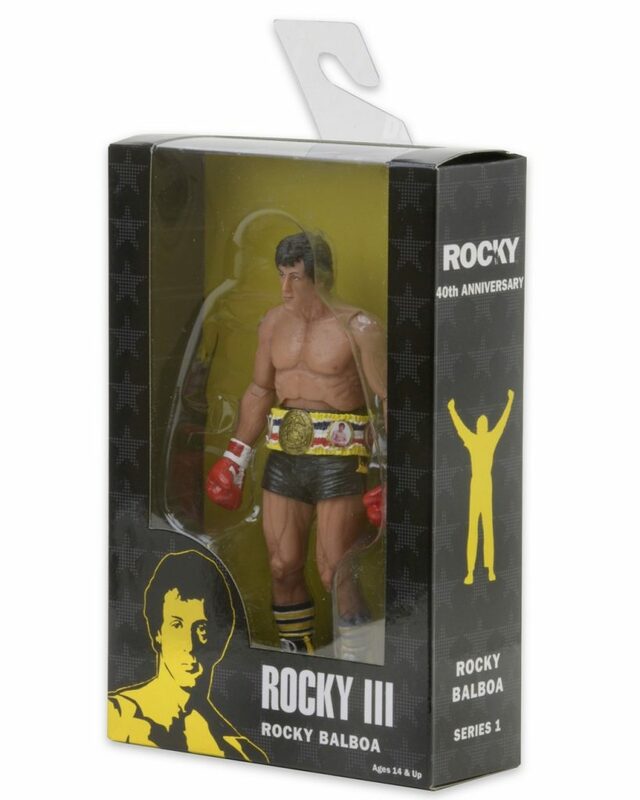 *Special window box packaging both celebrates the 40th Anniversary and preserves the value of the original releases for collectors.